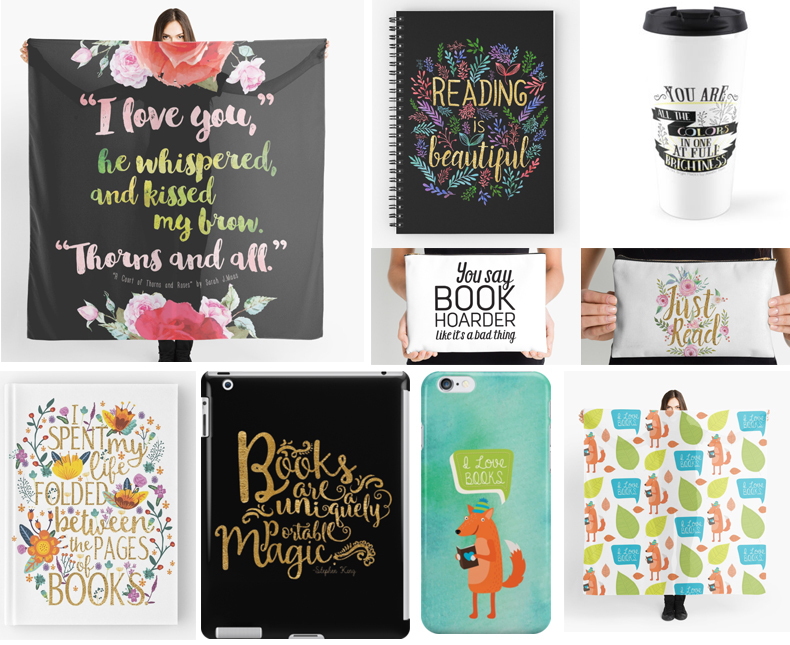 Bookish Lifestyle: Bookish SWAG & Book Quote Design Big Sale! 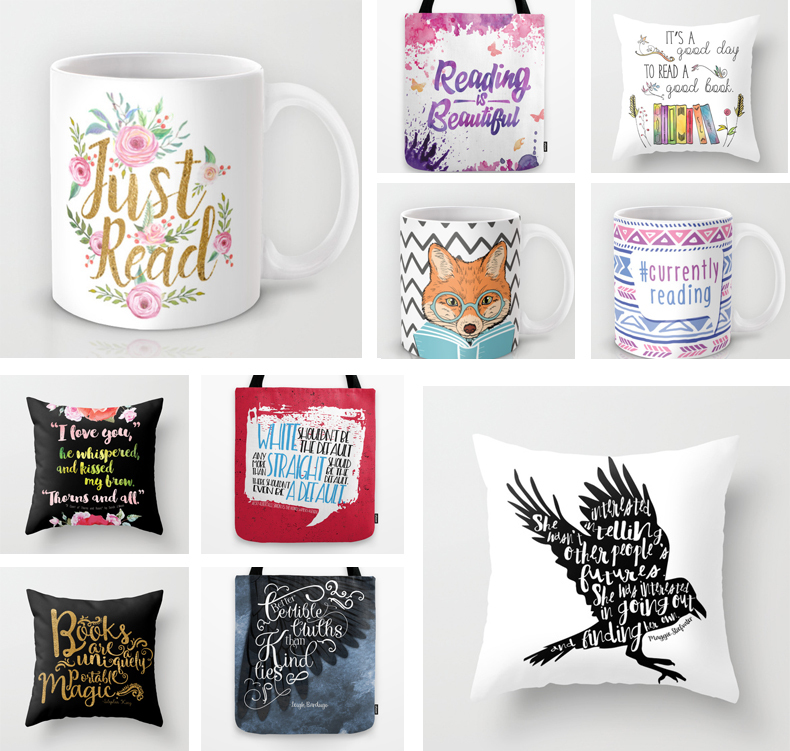 Bookish SWAG & Book Quote Design Big Sale! 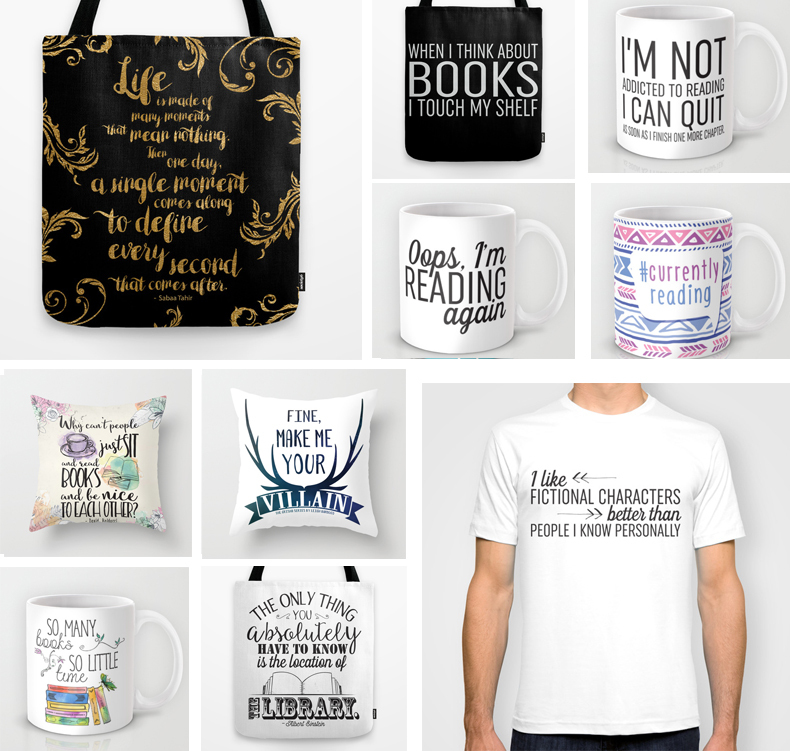 So, as you already know, a couple of months ago I opened up my Society 6 store, where you can buy some awesometastic bookish gear, including mugs, pillows, blankets, clocks and more. Since then, I have also opened up a Red Bubble store. And today, I am here to share with you some exciting news and promotions! I have recently added many new designs to my store and they've been pretty popular :) I am excited to tell you that my work has been featured on the main page of RedBubble.com and one of my designs has even been shared on Penguin Random House Facebook page! :D I couldn't be happier, especially since it coincides with a HUGE artist promo, Society6 is running now, and a big, big sale on RedBubble! Here are some new designs and promotion details for you! Now through November 8th midnight, you can get FREE World Wide shiping and $5 OFF on all items in my store! That is HUGE, because, for example mugs are usually $15, so you can get a mug for only $10 + free shipping! Only today, until midnight!!! You can get 20%OFF all of my designs and products! And be sure to follow me on Instagram for updates and giveaways!